Smart, professional, engaging document design and event material design for businesses and non-profits. You are the top of your field, creating programs and plans that improve the world and help your clients do their jobs better. You have high standards when it comes to the materials you put out, but lack the time and expertise to get them looking the way they do in your head. You also know that people value content which is thoughtfully and intentionally designed. This is EXACTLY what I do! Think of me as your company’s in-house designer, working to build cohesive materials that strengthen your brand and present you professionally. (It’s just, you know, MY house instead of yours.) In my hands, your documents and event materials will shine, showcasing all of your hard work and brilliant ideas. I’ll work to target YOUR audience with each piece, connecting directly to them and making sure they take notice of all of the important details. You focus on what you’re great at and let me take care of the rest! We were pleased with Kate’s flexibility in our timeline and additional requests throughout the project, as well as her collaboration with our printer. Overall, we were very satisfied with Kate’s professionalism and open communication, and look forward to working with her again. Kate is by far the most detail orientated person I have ever worked with. Her creativity is second to none. In my experience, finding both of these qualities in the same person is rare. Working with Kate is rewarding. She quickly absorbs the theme of what we are creating and always produces impressive results. Oftentimes, choosing between her options is our biggest challenge. Overall,we were very happy with the design details of our invitations, programs, and signage. We never imagined the design you printed and I love that you took our conversations and made it into something we both loved! We’re now way more confident that we’re providing a professional and consistent experience for our students. Kate’s assistance with creating professionally designed materials has enabled us to expand our reach and ability to “touch” clients in more ways that traditional means, such as by phone and email. In our opinion, the value of this exposure would be greatly diminished if not for the well thought out look and feel of our documents. You made things feel easy. You were able to work with my wants/needs even though I wasn’t able to provide a ton of direction. You also show great skills and design diversity in your work being able to show multiple different style options. Working with you was AMAZING! You helped me cobble together an incoherent pile of ideas into a cohesive, gorgeous brand identity that works across all my platforms. The hardest part was deciding on a design, since they were all so gorgeous. No lie. That was the toughest thing. When I partner with Kate on a project, I know that my expectations will be exceeded. 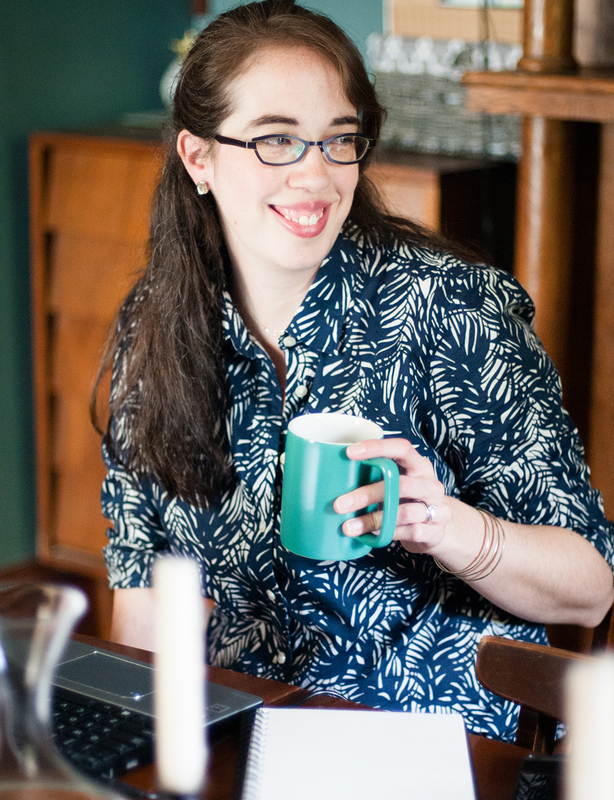 She delivers creative and functional designs– on time and on budget. Her attention to detail and follow through are exceptional. People love my branding and my business cards, and they like to contact me because they associate getting in touch with the brand we created. 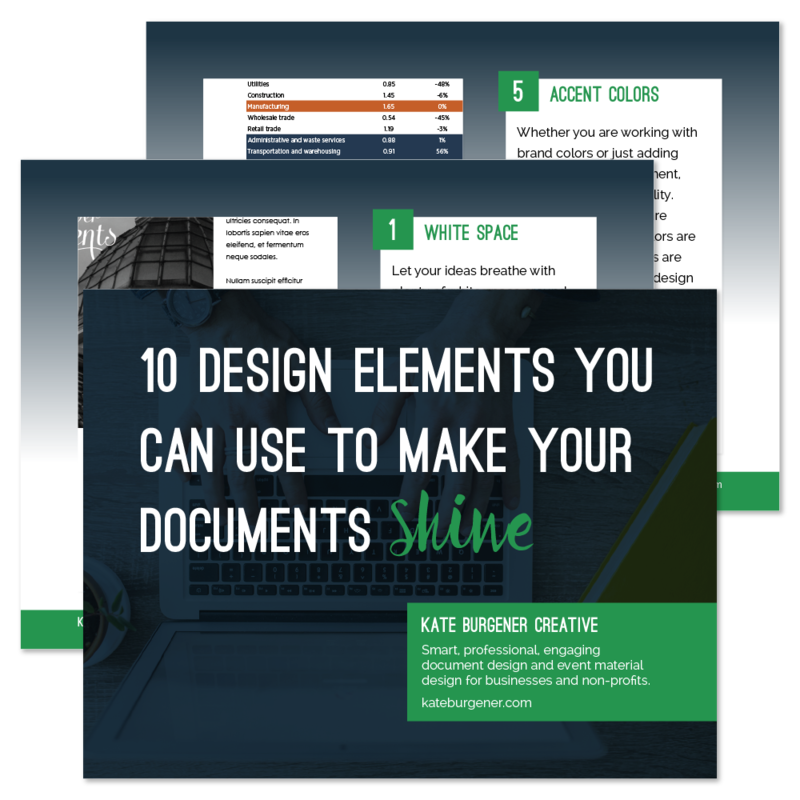 Get tips and tricks to make your documents look professional and polished!